Forgiveness is the key to freedom. You must forgive everyone no matter what they did to you or what you think they did to you. A key component is to be AWARE of it. Sometimes you can judge without being aware. It was a heartbreaking news story reported worldwide: A small private plane carrying wealthy businessman Michael Klein, his 13-year-old daughter, Talia, and her friend had disappeared in the jungles of Panama. For three days, the world waited and prayed for Talia and the others with Talia’s mother, Kimberly Klein, wondering if her daughter was alive. But the plane had crashed into the side of a volcano, and only the friend had survived. Talia was gone! Kim did not believe in life after death or in communication with spirits. Until, that is, Talia reached out from “the other side” and physically touched her mom, instantly changing Kim’s understanding of life and death—and everything she thought she knew was true. In the coming days, Kim received many signs from Talia: hummingbirds that kept appearing in front of her, a touch on her wrist . . . and then the messages began. Talia began communicating from the other side, revealing a life, a paradise, that was more beautiful, fulfilling, and complete than anything we know on Earth. She let her mother know unequivocally that not only is there “life after death,” but there is no death! Kim’s life was changed forever. Not just because her only child, Talia, was never coming home again, but also because Kim’s entire belief system, a belief system based on facts and figures and proofs from an academic life and her experience in business and law, was shattered. Now it was clear that there was in fact more to this world, this universe, than we can see with our eyes or prove out on paper. There are truths just as real as any fact, which cannot be proven, only experienced. And Kim was experiencing them. Since the time of Talia’s transition, Kim has been blessed to have met many people whose genuine abilities to hear Spirit, to heal, to intuit, and to teach these abilities to Kim have made it possible for her to foster her own innate intuitive and healing abilities as well. Everyone has these abilities as a birthright, but not everyone knows this, or cares, or fosters them. Once Kim learned that she too had these abilities, she made it her goal to do whatever was necessary to foster all of her natural talents, in order to communicate with her daughter and to be as close to her as possible. 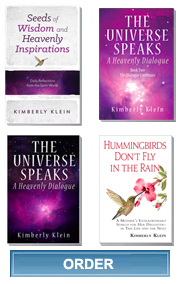 After much healing, learning, and practice, Kim’s natural intuitive abilities began to shine. Able to combine information received instinctively with her vast real-world experience as a businesswoman and attorney, she began using her abilities not only to guide others in their own journeys, but also to teach others how to get in touch with their own innate abilities. 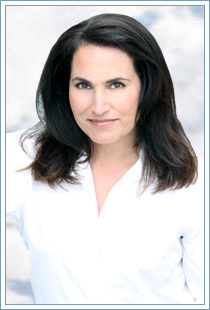 Kim has a remarkable talent, both as an intuitive counselor and writer of spirit and healing books, to guide others in finding their own soul’s desires, their true talents, and their purpose, and on a more concrete level, help others understand how to implement their desires in business and in life.